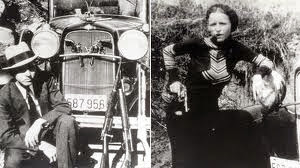 Two guns once owned by Bonnie and Clyde sold for over half a million dollars. Clyde Barrow's 1911 Colt .45 automatic sold for $240k. Bonnie Parker's .38 Detective Special that she had taped to her thigh when she was killed in a hail of gunfire in 1934 sold for $264k. 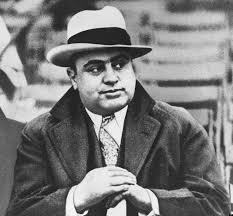 An online bidder paid $130k for a .45 Tommy gun and $80k for an 1897 12-gauge shotgun that were seized from one of the duo's hideouts in 1933. 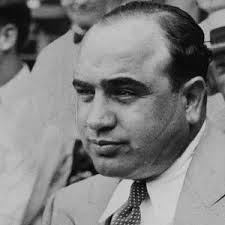 Lawmen seized the weapons on April 13, 1933 after a bloody raid on an apartment in Joplin where the Barrow Gang were holed up. 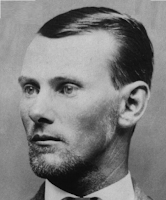 Two lawmen were killed. 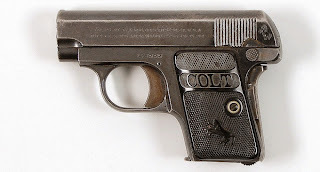 Al Capone’s Colt .25 semi-automatic pistol sold for over $16,000 in 2012. 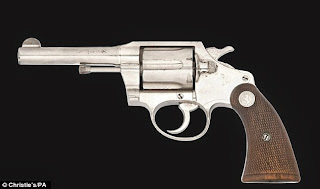 His Colt .38 revolver sold for $110,000 at a Christie's 2011 auction in London. 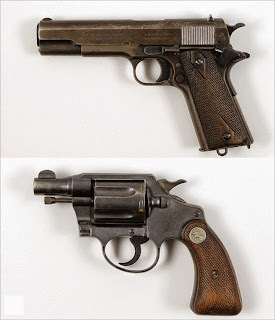 John Dillinger's derringer, a miniature pistol that was found in the outlaw's sock when he was arrested in 1934 sold for $45,000. 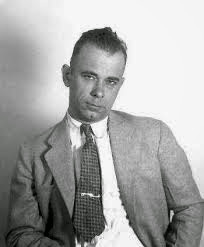 The wooden gun Dillinger famously used to escape from the Crown Point, Indiana jail sold for $19,000. 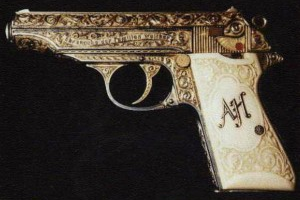 A purse pistol Jesse James gave his wife, Zee, to commemorate the birth of their daughter sold for $20,000. On October 5, 1892 five members of the Dalton Gang rode into the small town of Coffeyville, Kansas. 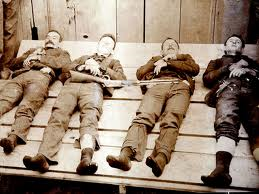 After a failed bank robbery, the ensuing firefight killed four townspeople and four members of the Dalton Gang. 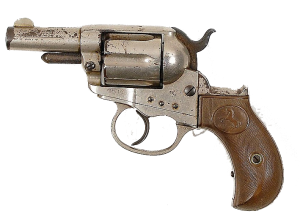 This Colt Single Action Army .45 revolver is believed to have belonged to Jesse James. In 2013 Texas-based Heritage Auctions attempted to auction it with a starting bid of $400,000.